Staacks are very pleased to welcome back Jane Morrow for what will surely prove to be another great show. 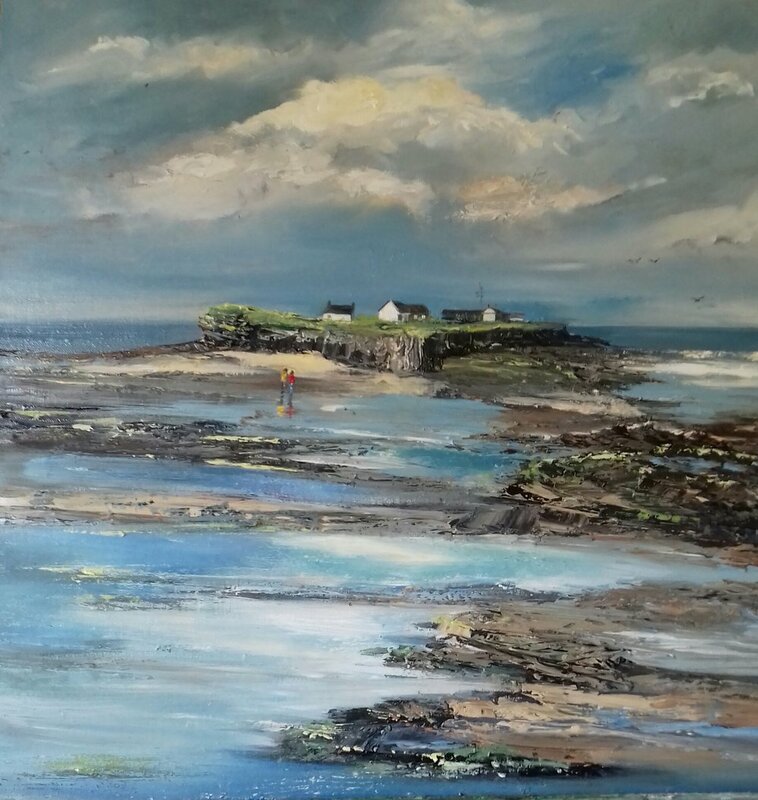 Influenced by her walks to Hilbre Island, Jane has developed a body of work that captures the shifting landscape, colour and light that truly reflects the environment around this familiar landmark. Jane explains further, "As a contemporary impressionist painter I am always concerned with capturing the light and essence of the landscape through which the audience can find a sense of place." This exhibition of work has been inspired by sketches and photographs collected throughout the year. Living by the sea Jane observes how with every changing tide the scene differs moment by moment. In this collection she captures some of those moments. From daybreak to sunset the light and colours of the coastal landscape are constant sources of inspiration. 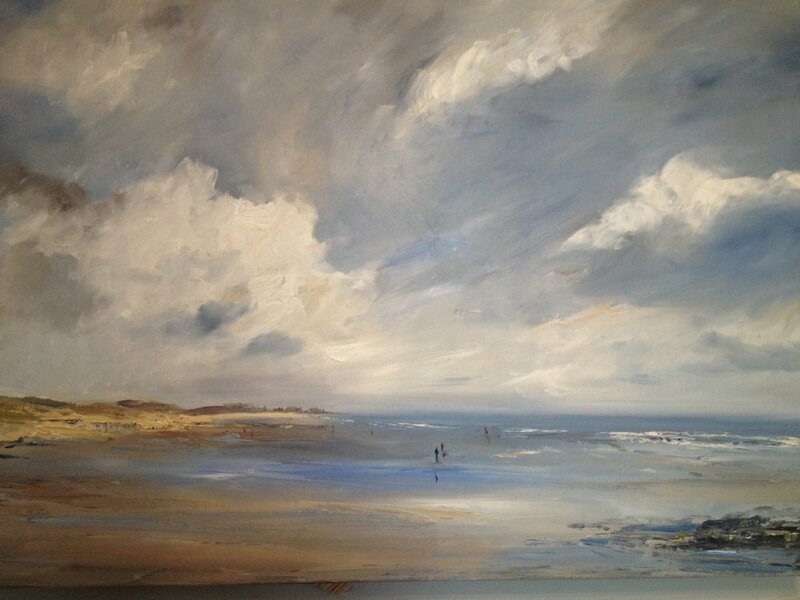 As Jane puts it, “Some of my favourite times are the grey rainy or wintry days that create emotive scenes of heavy clouds and dark seas”.